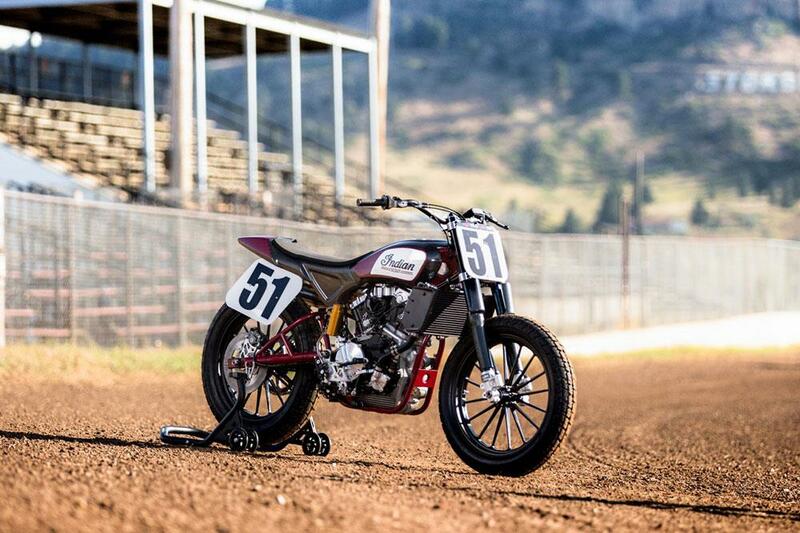 The new Indian Scout FTR750 will make its racing debut at the Santa Rosa Mile AMA Pro Flat Track race in California on September 25. 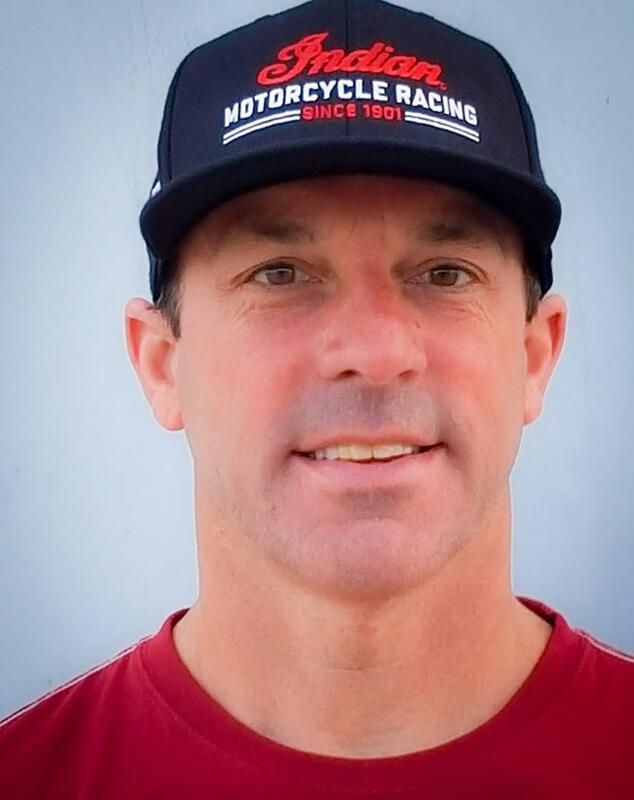 The bike, which was officially unveiled at the Sturgis Rally, will be in the hands of former AMA Pro Grand National champion, Joe Kopp, who has had victories on short track, TT, half-mile and mile circuits. 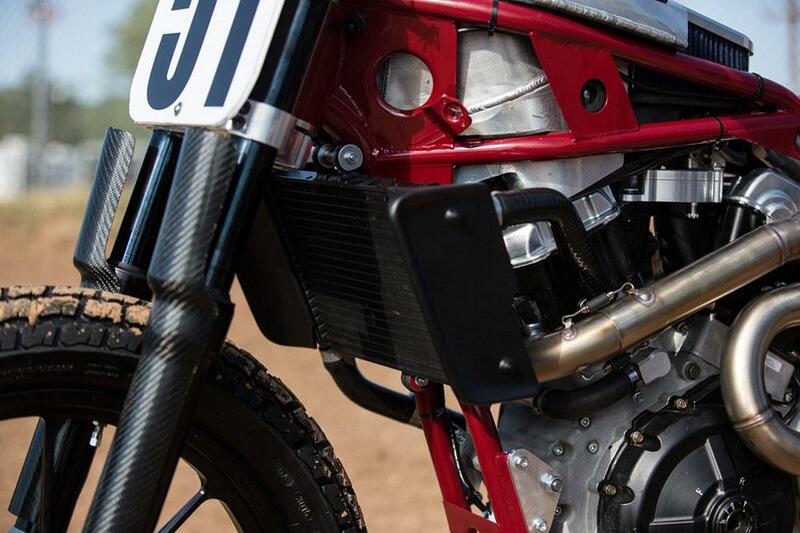 Indian have built the FTR750 with the hope of beating Harley-Davidson on the track. 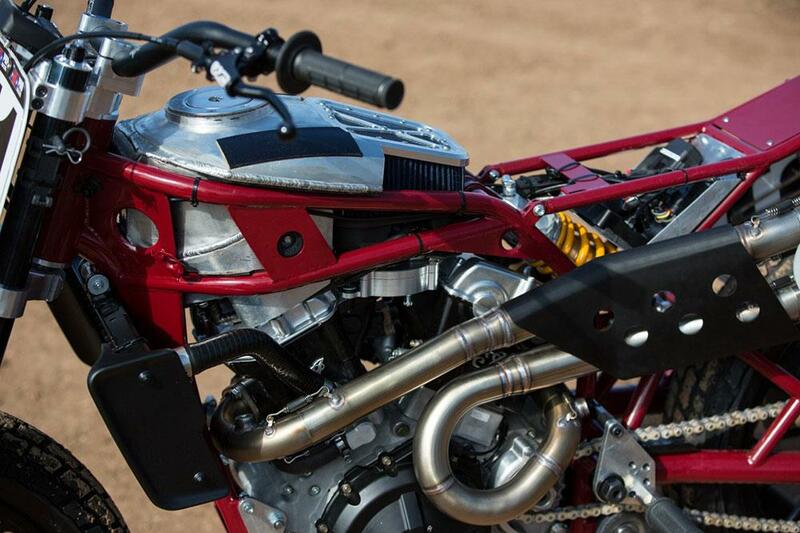 The bike is a water-cooled 750cc V-twin that has been specifically developed by the Indian Motorcycle Racing engineering and design teams. 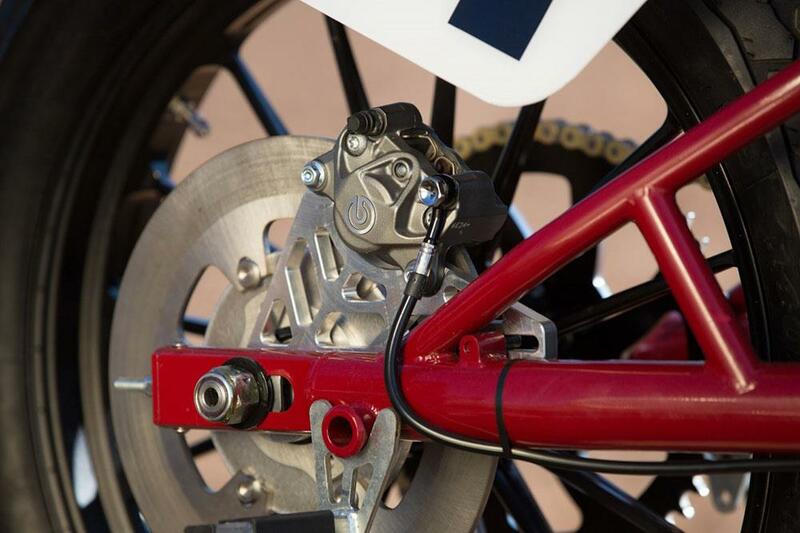 As well as the race-developed engine it has an ultra-light steel frame, a large centrally located air-box and carbon bodywork. 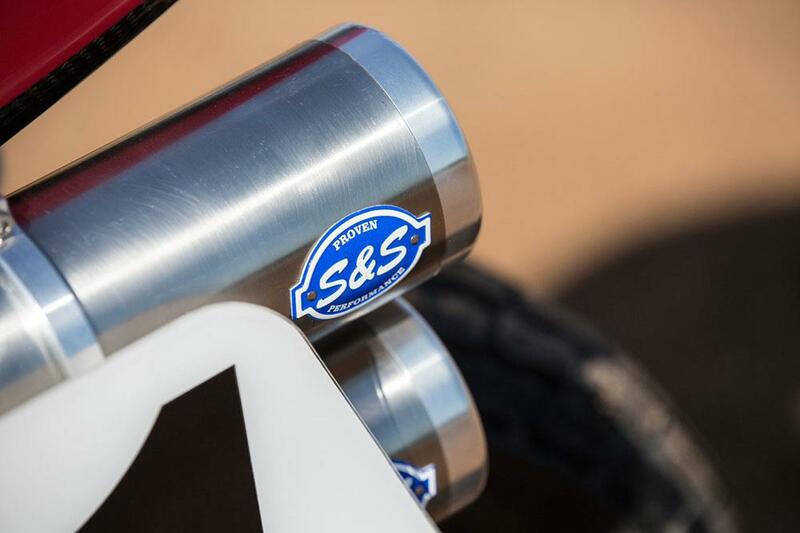 Roland Sands will be getting involved too. 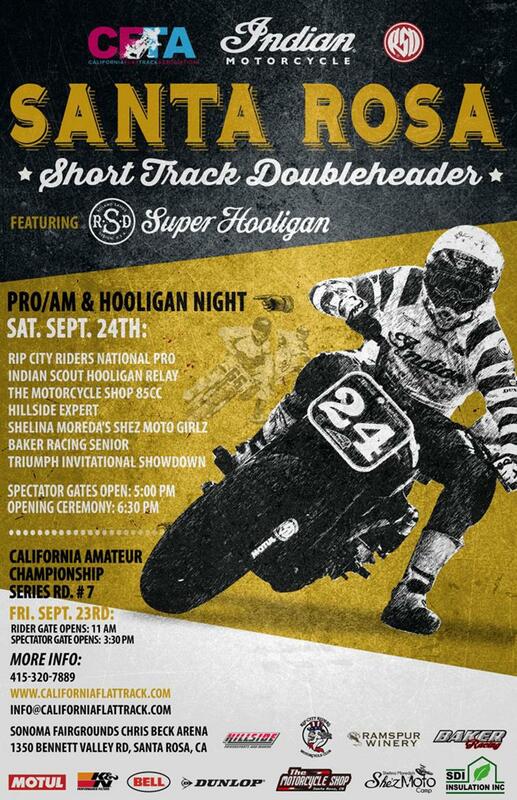 Riding a custom Indian Scout Sixty in the SuperHooligan races, taking place the day before at Santa Rosa.